Won 2016 Decanter Worldwide Award – Silver 90 points. 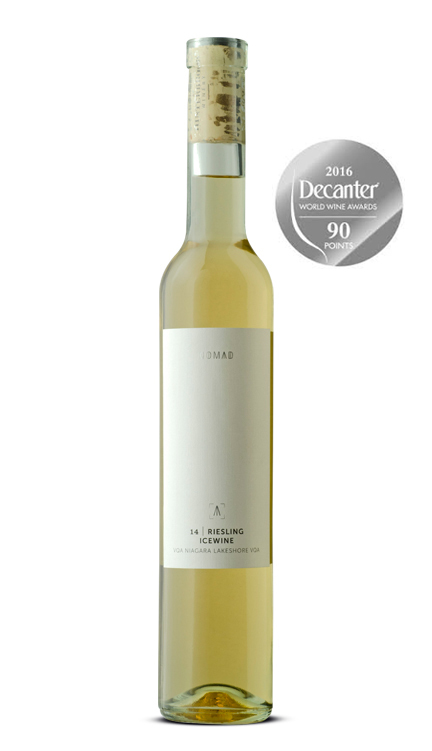 This icewine highlights the elegance of tropical fruits alongside a subtle note of citrus. Nectarine, grapefruit and quince form the aromatic body, whereas the palate offers a lusciously sweet, yet perfectly offset note, highlighted by pineapple, ripe mango and citrus orange acidity. This quality allows the multiple fruit layers of this wine to unfold as it is enjoyed.